Berocca is targeted at people who want to live an active lifestyle, with its products primarily designed to support the metabolism and cognitive functions. All products are said to contain Vitamins B and C, and other minerals such as calcium, magnesium and zinc. Most of the vitamin and mineral supplements are suitable for most people, although there are items like the Berocca Performance 50+ and Berocca Twist and Go that are targeted to suit certain ages and lifestyles. These also come in a range of flavours, such as orange and original berry. Some of the products fall under the Berocca Performance line. These alternatives include Berocca Performance Fizzy Melts and the Berocca Performance 50+ Ginseng. To avoid any surprises, it’s also important to know that Berocca Performance may also turn your urine yellow. The company claims this to be a normal side-effect of vitamin B2 (riboflavin). If you’re pregnant or breast feeding, the Berocca Performance range is claimed to have had no adverse effects on pregnancy, or on the health of the foetus or newborn child. But make sure to talk with your healthcare professional first to see if the Berocca Performance range is suitable for you. Similarly, if you have any medical conditions, or are concerned with using Berocca for a prolonged time, have a talk with your doctor to check if the product is suitable for you. To help you decide if Berocca is the right vitamin brand for your specific needs, we’ve compiled a list of the different products currently available. Berocca Performance is a vitamin and mineral supplement said to be intended to improve alertness and concentration, as well as support physical stamina and reduce tiredness and fatigue. These tablets are also stated to help meet daily water intake need. It is said to include a combination of B vitamins, vitamin C and essential minerals such as calcium, magnesium and zinc. The range is available as either effervescent tablets or film coated tablets. The effervescent tablets are intended be taken as a drink, with tablets easily dissolvable in water. This comes in different flavours including orange, original berry and mango and orange. The film coated tablets contain the same ingredients as the effervescent tablets. 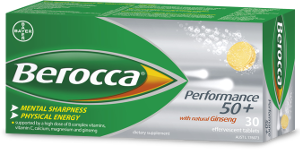 Berocca Performance is said to not contain any caffeine, artificial stimulants or preservatives. It’s also stated to have less than 0.1g of sugar. Although it does contain aspartame – an artificial sweetener claimed to be widely used in food and medicines in Australia and around the world. If you prefer to avoid added sweeteners, the film coated tablets may be a suitable alternative. It is stated the tablet should be taken once daily and is suitable for continual use. Similar to Berocca Performance, Berocca Boost comes in the form of a dissolvable tablet to be taken with a drink. It contains Guarana – an energizer said to enhance your mental sharpness and improve physical energy. Said to be ideal for young adults, this range is claimed to include a similar amount of caffeine as an average cup of coffee. This sugar free product contains caffeine and is not suitable for children and people aged 18 years or younger. It is also not recommended for pregnant or lactating women, or people sensitive to caffeine. Since the product contains caffeine, this range is also likely to keep you awake at night if you consume it later in the day. 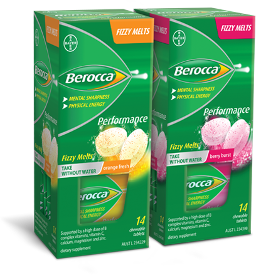 Berocca Performance Fizzy Melts are a more convenient alternative to Berocca Performance tablets. Available in the form of chewable tablets, this product is claimed to provide a range of benefits such as improved mental performance, and reduced tiredness and fatigue. The range is apparently suitable for children aged 12 years and over. The tablets are recommended to be taken twice daily and for prolong use. Like the Berocca Performance effervescent tablets, this range is said to contain various B vitamins, plus vitamin C and minerals such as calcium, magnesium and zinc. These tablets are available in two flavours, including ‘Orange Fresh’ and ‘Berry Burst’. 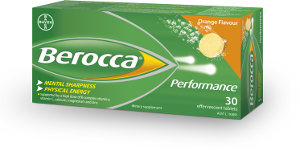 The Berocca Performance Fizzy Melts are also stated to not contain caffeine or artificial stimulants. It similarly does not contain aspartame, but includes sucralose and acesulfame potassium as sweeteners. The convenient packing of Berocca Twist and Go makes the range ideal for people ‘on-the-go’. It’s said to include various B vitamins, vitamin C and minerals like calcium, magnesium and zinc. The Berocca Twist and Go is said to not contain artificial stimulants or preservative. It also has less than 0.25g of sugar. It’s claimed to provide a range of benefits including reduced tiredness and improved alertness and concentration and mental performance. The product is also said to maintain your physical energy throughout the day. This is recommended to be taken daily for a continual period, and is available in orange and orange berry flavours. 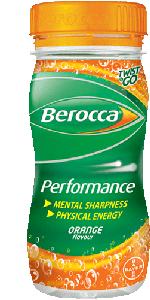 Berocca Performance 50+ with Ginseng is a multivitamin intended to support people aged 50 years and over. It’s said to include essential vitamins and minerals such as calcium, magnesium and zinc to help with nerve functioning. This range also includes Panax ginseng, which is claimed to strengthen mental and physical vitality and wellbeing. 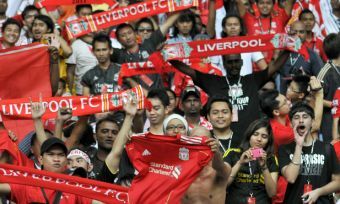 It’s also stated to help improve concentration, clarity and stamina. These tablets are intended to be taken for daily use. While the supplement is recommended to be taken in the morning, it can alternatively be consumed throughout the day. If you have any health conditions or blood sugar disorders, you must see your healthcare professional before taking this product. Should I make Berocca my go-to vitamin brand? Berocca offers a range of vitamin and mineral supplements. These include Berocca Performance, Berocca Performance Fizzy Melts, Berocca Boost with Guarana, Berocca Twist and Go and Berocca Performance 50+ with Ginseng. Many of the products are suitable for most people, although there are certain ranges, such as Berocca Performance 50+, created to target specific needs. 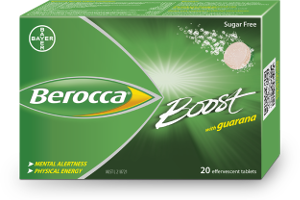 Apart from Berocca Boost with Guarana, all the products do not contain caffeine. Most of the products also contain artificial sweeteners such as aspartame as well as sucralose and acesulfame potassium. But there are alternative options like the Berocca Performance film coated tablets which does not contain any sugar or artificial sweeteners. If Berocca doesn’t have what you’re looking for, there are plenty of other vitamin brands to choose from. But whichever you go with, be sure to consult your doctor first. Make sure to check out the Canstar Blue website for a range of reviews and ratings on a variety of brands and products. Start by following the link below.